The final batch of friendlies before World Cup qualification begins sees the USWNT go up against an opponent they have never faced before. The United States Women's National Team have named a roster of 23 players to face Chile on August 31st at the StubHub Center and on September 4th at the Avaya Stadium. This two-game series will be the last non-competitive matches that Jill Ellis and her charges will play before they begin their 2019 FIFA World Cup qualification process later on this year at the 2018 CONCACAF Women’s Championship. With that in mind, we may be looking at between 19-20 players who, barring injury, will be representing the USWNT next year in France. Two long-awaited returns have been named to the roster for these friendlies. Both Kelley O'Hara and Mallory Pugh had been ruled out from previous matches with injuries and make their comebacks to the team since March and April respectively. 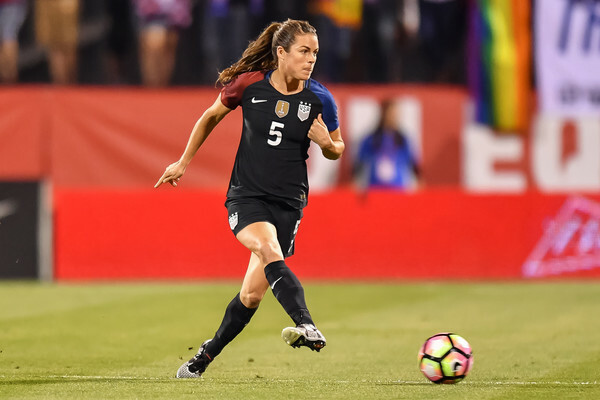 O'Hara's return in particular is a much-needed one as there had been a shortage of fullbacks available for Jill Ellis to call up. During her absence, Crystal Dunn and Emily Sonnett had been used as emergency fullbacks and most would agree that both players are better utilized in different positions. With O'Hara back in the fold, this will make the fullback position more balanced if that is the way that Ellis decided to set the team up. Mallory Pugh comes back into a slightly different situation. The USWNT is currently stacked at the forward position and she may have to fight her way to a starting position. Megan Rapinoe, Tobin Heath and Crystal Dunn have all been in fine form for both club and country and with Alex Morgan being Ellis' preferred first choice at striker, Pugh may have to find a way to make it off the bench as Christen Press has had to do recently. With Allie Long, who has become a feature in the USWNT over the last two years, left out of the roster due to a knee injury she picked up during a match with her club team, McCall Zerboni has the opportunity to push herself up the depth chart in midfield. While Long has seemingly become a mainstay of the USWNT since 2016, with so much competition in midfield, Zerboni could have the chance to replace Long in the long term if she impresses Jill Ellis and the coaching staff during Long's absence. Most expect Long to be back on the team in October for the World Cup qualifiers if she recovers quickly enough though. Until then, Zerboni will want to make the most of her opportunities as she did in the friendlies against China. Only 18 of the below named players will suit up for each game. Defenders: Abby Dalhkemper (North Carolina Courage), Tierna Davidson (Stanford University), Hailie Mace (University of California, Los Angeles), Kelley O'Hara (Utah Royals FC), Casey Short (Chicago Red Stars), Emily Sonnett (Portland Thorns FC). Midfielders: Morgan Brian (Chicago Red Stars), Julie Ertz (Chicago Red Stars), Lindsey Horan (Portland Thorns FC), Rose Lavelle (Washington Spirit), Carli Lloyd (Sky Blue FC), Samantha Mewis (North Carolina Courage), McCall Zerboni (North Carolina Courage). Forwards: Crystal Dunn (North Carolina Courage), Tobin Heath (Portland Thorns FC), Alex Morgan (Orlando Pride), Christen Press (Utah Royals FC), Mallory Pugh (Washington Spirit), Megan Rapinoe (Seattle Reign FC).